This year’s edition of Springtime in the Country Rochester welcomes 150 artisans from across North America. Longer days, warmer weather and a blooming landscape always bring a refreshing sense of endless possibilities for the coming year. 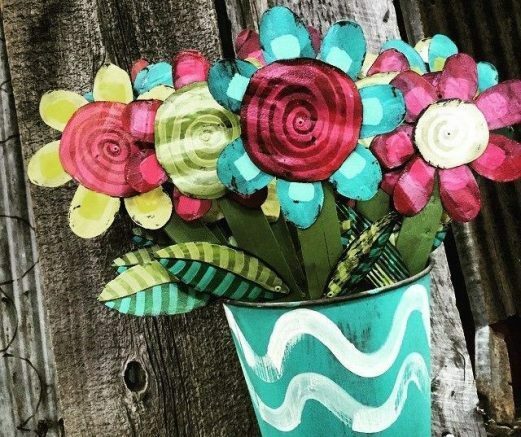 And whether you’re looking to renew your home, your garden or yourself, there is no better way to celebrate spring than at the second annual Springtime in the Country artisan market April 5-7 at the Rochester Dome Arena, 2695 East Henrietta Road, Henrietta. This year’s edition of Springtime in the Country welcomes 150 artisans from across North America and boasts a stunning addition of more than 40 first-time artisans, with products including gourmet food and wine, craft beverages, garden art, metalworks, custom furniture, designer jewelry, home décor, spa-quality bath and beauty products, children’s gifts and so much more. With Easter and Mother’s Day right around the corner, Springtime in the Country promises to be the perfect destination for seasonal gift buying. Springtime in the Country will take place from 4 to 9 p.m. Friday, April 5; 10 a.m. to 5 p.m. Saturday, April 6; and 10 a.m. to 4 p.m. Sunday, April 7 in the Dome Arena. Admission is $7 for adults and seniors and complimentary return passes are available at the event’s information booth. Children under 12 are free with a paid adult. Discount tickets will be available March 21 through April 4; please visit www.wnypremierpromotions.com for information. Parking is free. For 35 years, Premier Promotions has produced high-quality, extremely successful artisan events including Springtime in the Country, Christmas in the Country and Yuletide in the Country in Hamburg and Springtime in the Country and Christmas in the Country in Rochester. The events are consistently ranked among the Top 100 craft shows in America by Sunshine Artist magazine. Last year, almost 100,000 visitors attended these shows, purchasing more than $5 million in original handmade merchandise and gourmet foods directly from the juried artists. Premier Promotions has also helped raise more than $1.5 million for Western New York charities in recent years. Be the first to comment on "Celebrate spring at Rochester’s second annual Springtime in the Country artisan market"